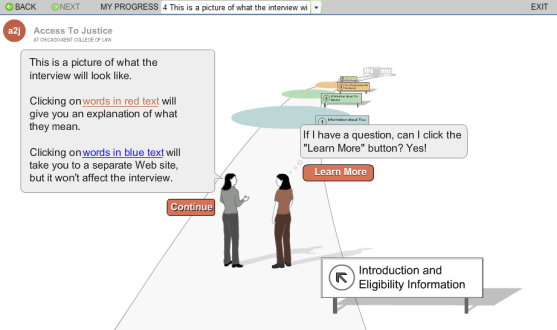 This is a picture of what the interview will look like. The woman on the left asks you questions and gives you information. The person on the right is you. As you answer questions, you move along the path toward the courthouse. That's it! Now that you have gotten through the instructions, you can click "Start!" to go to the interview. Good luck!